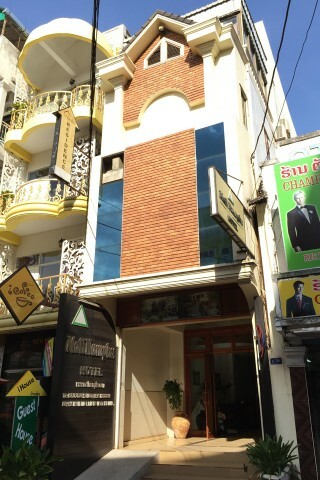 The wide, open entrance is an attractive introduction to this popular guesthouse in the centre of Vientiane. Ad Book now! Rates from US$28.79++. Average rating 7.3 from 1,803 reviews. Rooms above the lobby are the most affordable, but the best rooms are in the back building and wrap around a beautifully manicured courtyard complete with wicker patio tables and chairs. All rooms are decorated in a simple but tasteful way and have air-con, hot shower, flat screen TV, WiFi and clean ensuite bathrooms with hot shower – although at this price it shouldn’t be a Lao-style wet-room. The lack of natural light makes the interiors feel somewhat drab. Our main complaint about Mali Namphu is how quickly its prices have risen in recent years, with the budget travellers whose glowing reviews contributed to its popularity now priced out of staying here. Their current price moves it into a different bracket and we can name several hotels of much better quality and value including Hotel Khamvongsa and Vayakorn Inn. We’d also stay in a balcony room at Phonepaseuth Guesthouse next door which is far less pricey. Check rates at Mali Namphu on Booking.com.